Our ISP had an outage between approx 7PM Pacific and 9:30PM Pacific which caused many of our sites to be offline, including scripting.com. I temporarily mapped the DNS to a server that was working. Of course shortly after that, the main server came back online. Murphy works in mysterious ways! BTW, it's kind of cool that I can write an emergency version of Scripting News without getting any lawyers in the loop. Don Imus is an ancient redneck pimp. My favorite new ad. These women are hot! Jason Calacanis: "Blogs are about fighting for what you believe in!!" Amen. I now have a presence on Jaiku. Scoble video explains what Twitter is. Good explanation. podLoader allows you to "load content from the web or from other desktop files onto your iPod." The point of developing Frontier was to create the perfect development environment for me to spend the rest of my career in. It worked. I am very happy with my object database and outline script editor, multi-threaded runtime, HTTP server, etc etc. I program at a very high level and I'm very happy about it. But now we have a problem with the OPML Editor on Windows, and since I haven't programmed in C for many years, it's not realistic for me to solve the problem. We need help and we're getting it from a surprising place -- Microsoft! Let me say that again. We're getting help from a surprising place -- Microsoft! Wow. Microsoft helping with an open source project. Now I think it makes sense for the platform vendor to help make sure open source stuff works on their platform, maybe even help make it run well on their platform, but I've never seen one offer to help. It's a very good thing. Here's the status report from Joshua Allen. Anyway, I already said thanks on the mail list, and I wanted to echo it here. Thanks! My very good pal and Berkeley neighbor Sylvia Paull lost her mom last week. She wrote a remembrance, on her blog. I hosted a good portion of her family here on Saturday night, we went to dinner, watched a bad movie on my TV, and a couple of her relatives stayed overnight. Everyone was in town to mark the passing of the mom and the grandma. Like all families, Sylvia's is crazy, but it was great to see them all together. There were some people missing, her mom didn't talk to her sisters. They say they hated each other more than they hated the Nazis (they were Holocaust survivors). Last night I went to the movies with my friend Evan, Berkeley neighbor and Sylvia's son. Some days I feel like Sylvia is my surrogate mother, and some days my surrogate sister, which makes Evan my surrogate brother or surrogate nephew. We have a good time when we go out, it's a total male experience. The link on Scripting yesterday to the USB-controlled rocket launcher (a cube toy) came from Evan. We went to see a great movie, Grindhouse -- which is actually two movies, over three hours of movie pleasure. They are so disgustingly gory, like Pulp Fiction or Kill Bill, that at first you're shocked and wanting to walk out, but then you get accustomed to it, and even the most ridiculously gory stuff makes you laugh! I'm laughing right now as I write this. But the first few scenes with sick body parts are very difficult to watch. By the end of the second movie you're cheering. Thank god for soemthing to write that doesn't have to pass the lawyer test. And thanks to Sylvia's mom for taking care of Sylvia for all those years. I'm not aware of any tech blogger who has received a serious threat of a defamation suit, but I'm sure there have been some. I've done more homework on this, and find that the law seems to assume that libel appears in a newspaper or magazine, not in a weblog. The method of retraction they call for seems to reflect a print reality, not an electronic one. 1. Never knowingly say something that's false. 2. Disclose all relevant conflicts of interest. Lawyers however, have a different set of rules, which are more restrictive. So far the blogosphere has operated under the more relaxed rules. For example, there are many things people have said about me that would clearly be actionable under the legal rules. But I don't sue people for what they say about me, just as I don't file patents that prevent other technologists from using my ideas. Just because you have the power doesn't mean you have to use it. If a business provides bad service, or treats its customers unfairly, that's something other customers should know. That's one of the fundamental principles of the Internet, in my humble opinion. It's why the travel industry, the real estate industry -- every service industry is undergoing massive upheaval. Yet, you just don't see too many people talking online about bad service from lawyers. It seems to me people are pretty scared of what lawyers can do to them, and I don't think this is a good situation. And while my words have become more measured, I've decided to continue writing about this, while I can, because that's what I do. 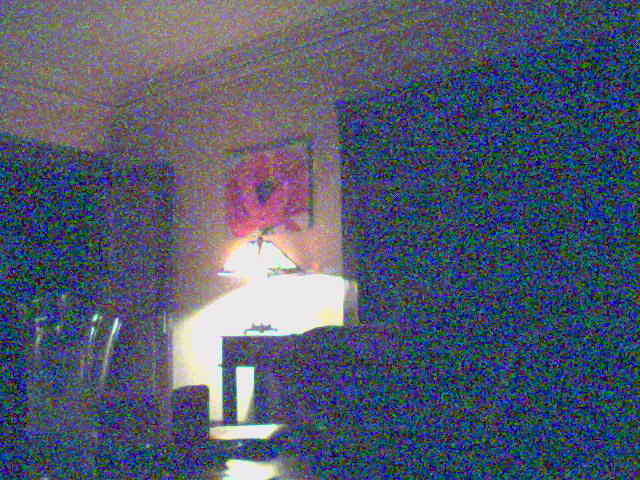 Last update: Tuesday, April 10, 2007 at 9:53 PM Pacific.